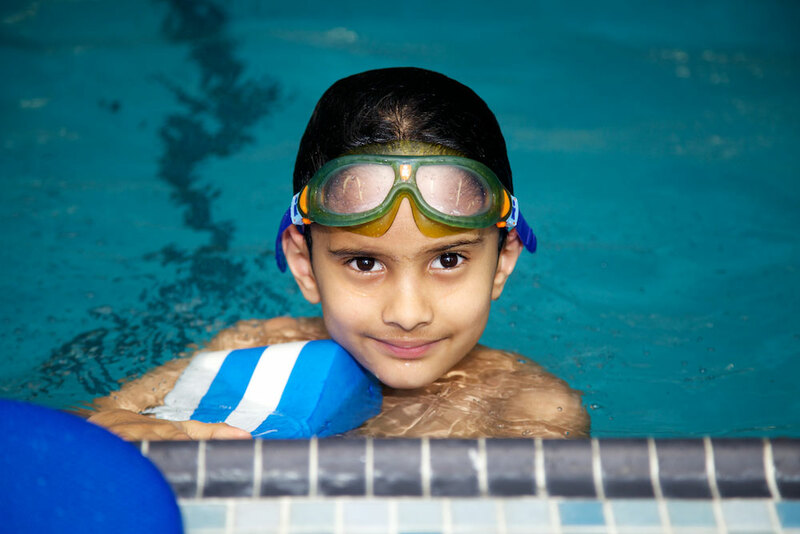 Children aged six and older; majority of the swimmers will have completed all levels by age 12, depending on the frequency of enrolment. - Swimmers learn competitive and survival strokes and build their distance and speed, while focusing on making safe decisions in, on, and around the water. 6 + years of age, with previous swimming experience. Swimmers develop front and back float, front and back glide, flutter kick, shallow water entries and exits, and swim a minimum of 5 metres. Swimmers learn front and back glide with flutter kick, develop front swim, complete deep-water activities and swim a minimum of 10 metres continuously. Swimmers increase their distance on front and back glide with flutter kick, perform flutter kick unassisted, float in deep water, and swim a minimum of 15 metres continuously. Swimmers learn back swim with shoulder roll and front crawl (10m), work on flutter kick on back, perform kneeling dive, introduction to sculling and swim a minimum of 25 metres continuously. Swimmers develop front crawl (15m), learn back crawl (15m) and whip kick on back, learn stride dive and treading water, perform head-first sculling on back, and swim a minimum of 50 metres continuously. Swimmers increase their distance on front and back crawl (25m), learn elementary back stroke (15m), learn dolphin kick, tread water in deep water, perform front dive, and swim a minimum of 75 metres continuously. Swimmers increase their distance on front and back crawl (50m) and elementary back stroke (25m), learn front scull, perform whip kick on front and dolphin kick, learn stride entry and swim a minimum of 150 metres continuously. Swimmers increase their distance on front and back crawl (75m) and elementary back stroke (25m), learn breast stroke (15m), learn eggbeater/tread water, perform feet-first surface dive and standing shallow dive, and swim a minimum of 300 metres continuously. Swimmers increase their distance on front and back crawl (100m), elementary back stroke (50m) and breast stroke (25m), learn sidestroke kick, perform head-first surface dive, and swim a minimum of 400 metres continuously. Swimmers increase their distance on front and back crawl (100m), elementary back stroke (50m) and breast stroke (50m), learn sidestroke (25m), perform dolphin kick (vertical), learn feet- and head-first surface dives with underwater swim, and swim a minimum of 500 metres continuously.